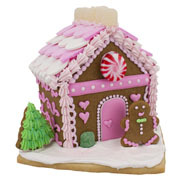 Unleash everyone's creativity by making an adorable gingerbread house this season with loved ones. 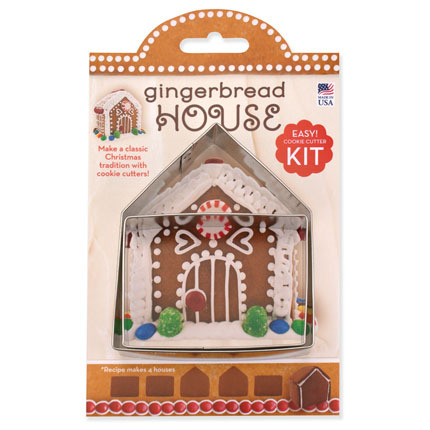 The 4" Ann Clark Gingerbread House Kit contains two cookie cutters- one for the sides and roof, and one for the front & back. Instructions included, from baking to assembly. 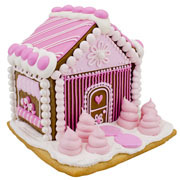 Your gingerbread boys & girls will adore their new home! Made in the USA. 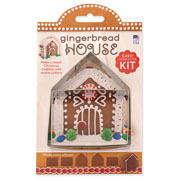 This kit is perfect for kids to make gingerbread houses. Last year I made them with my nieces and it was so much fun. The recipe, size of the cutters were perfect. Its now a family tradition. They also make great gifts. This kit needs to be assembled as instructed in order for the roof to fit. Because the roof is the same size as the side panels it's small not giving the traditional overhang. 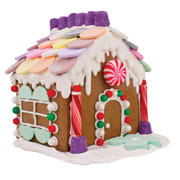 This is a nice size for kids to decorate but the house look funny. » Response from Ann Clark Cookie Cutters: Thanks for the feedback.